There is no easy or quick way of telling a fake from the real thing. That said, neither must you be an expert to stand a fair chance of spotting a fake. The real trick is to accept there is no trick to going about it; quite simply, identifying a fake involves taking the time to gain a little knowledge and brush up your antique jewelry smarts. To help you do exactly that, here are five areas to learn more about that if you do are all likely to help you identify a fake piece of antique jewelry when presented with one. All periods and eras in history had their signature styles. Some, such as the Georgian period and Victorian Era had several. The Georgian Period having seen five monarchs and much political and social upheaval went from being loco over Rococo to reviving the Gothic before the Napoleonic years saw, well, the Napoleonic style dominate jewelry making fashion. Meanwhile, the later Victorian Era went on for so long due to the fact that Victoria remained Queen of England for 64 years that within the era there were also three distinct periods: to begin with the Romantic Period, which was dominated by all things flowery and animal related to the far darker Grand Period which set in when Prince Albert died and also coincided with the start of the American Civil before the Industrial Revolution, having got underway in earnest, brought new and far more exotic and too industrial motifs and patterns to jewelry makers’ attentions. And it is this understanding and appreciation of the periods, dates and vogues in different styles that most collectors rely upon for the most part when identifying, aging, buying and deciding what they are willing to pay for an antique item. Then, if this is knowledge you lack, ahead of flashing the cash and attempting to begin a collection, it is worth heading over to the History of Jewelry website and doing some serious cramming…or just taking a moment to skin through their History of Jewelry Timeline. Whilst non English and non European jewelry is unlikely to bear a hallmark, even English and European jewelry of an age describable as antique is unlikely to be hallmarked as hallmarking during and certainly prior to the Victorian Period was not standardised in any real way. A so-called Victorian jewelry item which does not feature a marker’s mark is not necessarily a fake, but finding a maker’s mark will instantly enable a potential buyer to trace this mark and authentic an item said to be the real Victorian deal. Hence, maker’s marks are well worth looking for when buying Victorian jewelry. The ways gems and most notably diamonds have been ‘cut’ to showcase their brilliance over the years has changed along with the preferred shapes of diamonds used within jewelry pieces. Travel back to the 18th Century and almost all diamonds set into jewelry would have been given either a rose or table cut. The rose and too the table cut were after all two of the earliest ways of ‘faceting’ diamonds to essentially make them ‘twinkle’ more to the naked eye. In fact, prior to the 16th century diamonds were only ever polished before using to make jewelry and fast forward to 2016 and you will perhaps be familiar with the most favoured cut today, which is the ‘brilliant cut’. Being able to identify the different cuts, which you can learn via the Antique Jewelry University website and by reading their article: A History of Diamond Cutting, is particularly useful as it will not only better aid you in determining the authenticity of a supposed antique jewelry item but potentially also help you to better date and age it. Whilst some replicas will fail on even the most basics such as cut, shape and style and so instantly reveal themselves as counterfeit or replicas, some won’t. Hence, it is worth knowing how to test whether a diamond is the real deal. Diamonds being one of the hardest substances known to man, one way to of course authenticate a so-called diamond is simply to hit it with something hard. Most of the gems and materials used to create fake diamonds or masquerade as the real thing will crack or shatter. Of course, a diamond set in a jewelry item is best not hit hard or at all for that matter, especially a potentially valuable antique one. 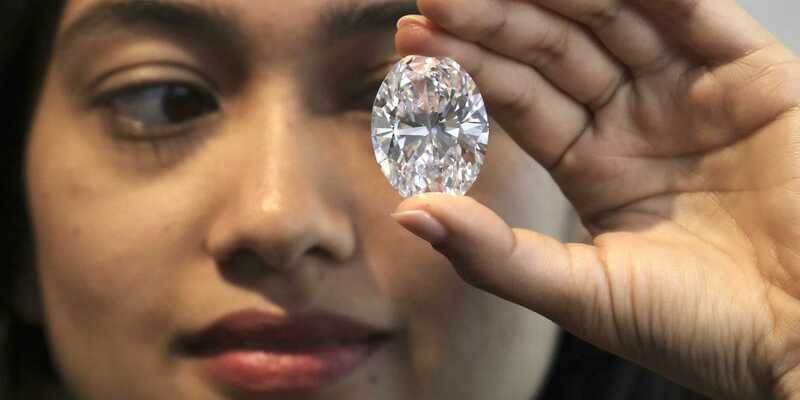 Then and instead, familiarise yourself with the simple means of testing the authenticity of a diamond provided via the Business Insider website and do not be shy to carry out these tests when possible to ensure the items in your collection and those you intend to buy really are the real thing. Last but not least, it is important to look closely at the price tag attached to any antique jewelry you intend to purchase – and not just to avoid being ripped off through potentially paying over the odds otherwise, but because it is equally easy, especially when seduced by something you initially believe or think is a genuine antique jewelry piece, to then see an incredibly low price and think you are grabbing an absolute steal…when in fact the real steal could be in that without having to steal it from you at all someone has just walked away with a sizable chunk of your bank account and all you have to show for it is a replica or counterfeit antique item of jewelry. Then, and to avoid this situation, always shop with your head before your heart and never buy anything without first asking questions. And, last but not least, remember: if the price seems too good to be true, odds are it is.